One of the most vibrant and elaborate festivals of Hinduism, spanning nine days of worship and veneration, Navarathri falls either in the month of September or October. The Sanskrit term ‘Nava-rathri’ stands for nine-nights and is a celebration devoting three days each for the Hindu deities Durga, Lakshmi and Saraswathi. 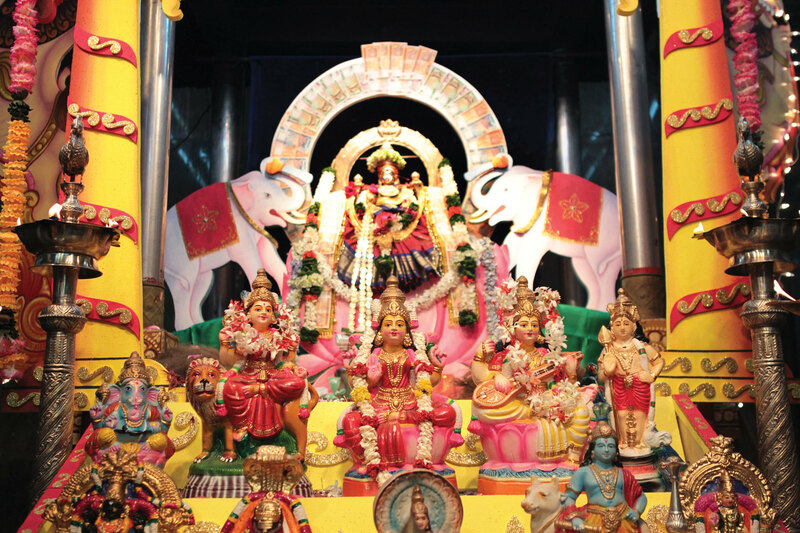 Devotees venerate the goddesses for their blessings of courage, wealth and knowledge respectively. The basis of the festival is the celebration of a battle that triumphed over evil. It is believed that the three goddesses combined their strengths to embody goddess Shakthi to vanquish a demon Mahidasuran. 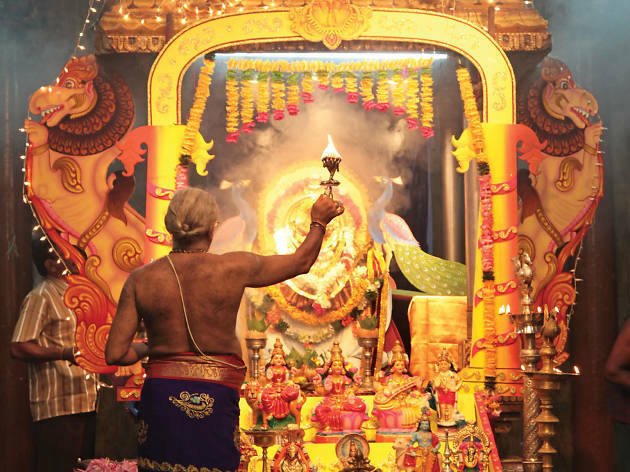 The Navarathri festival is one that is rife with ritualistic practices. Key amongst them is the placing of the traditional deity ‘Kumbham’ – a metallic pot filled with water adorned with mango leaves and covered by a shaped coconut to resemble a tomb which is then placed on a plate of raw rice set down on a banana leaf. 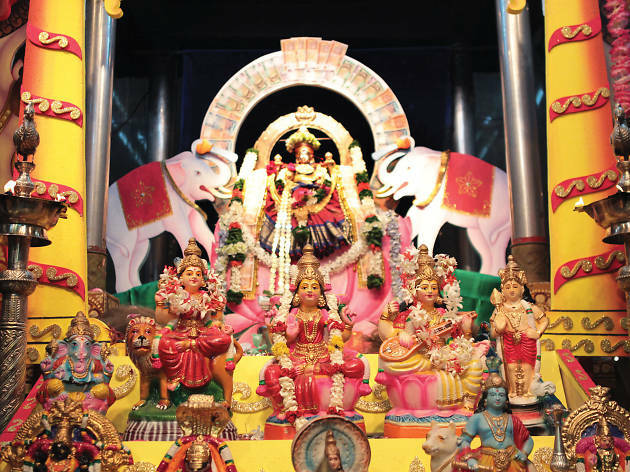 Another significant practice is the arrangement of ‘Kolu’ – a display of idols on nine tiers, which depict the gods, Hindu saints, human activities such as weddings and farming, and the run of businesses and wooden dolls and animal figurines. The three-day periods dedicated to the three deities are differentiated by the verses recited and the types of offerings made. 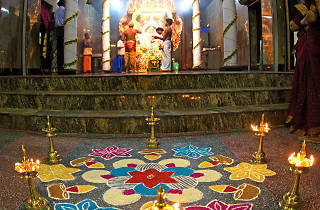 It is indeed a festival of festivals and is celebrated in Kovils across the island. 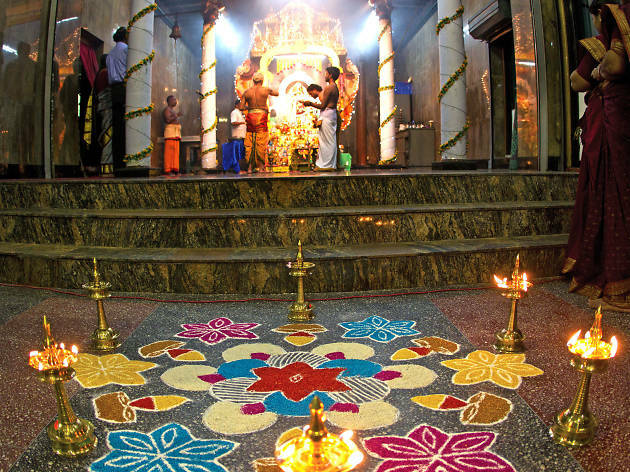 This year the Navarathri festival falls in October, commencing on the 13th and concludes on the 22nd with the Vijayadashami pooja. 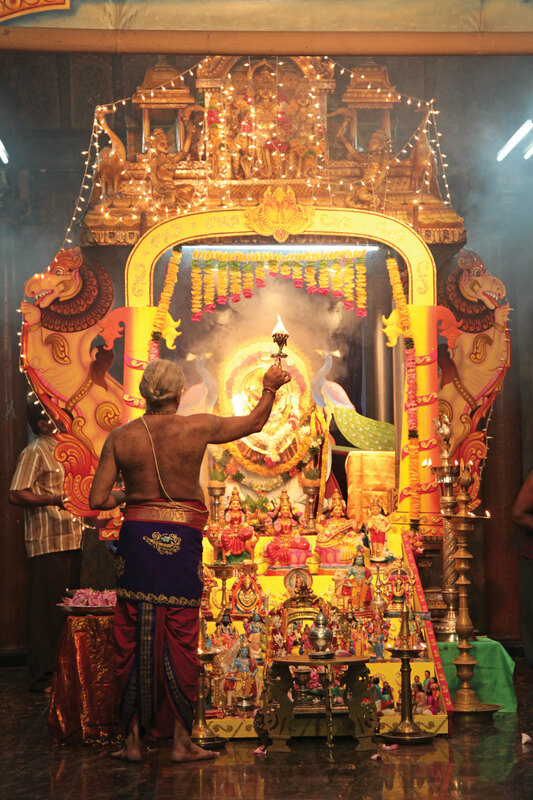 You can visit any of the Lakshmi and Durgai Amman Kovils to witness the Navarathri festival held in high festive fervour.